- One challenge each day. - Unlimited entries each day. - One winner each day. - Prizes vary each day. - New cards only, unless I specify otherwise. - You can always edit. - You can always spotlight a card as an entry. If a spotlighted card wins, you also win. 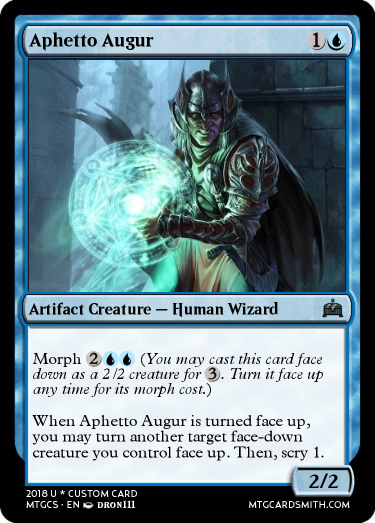 Challenge: Create a creature with a morph cost. Rewards: One favorite for each entry you beat. Also, can cards have a megamorph cost instead? Challenge: It is Friday the 13th. Create a Jason card, a card with Jason in the art, a card themed after Friday the 13th, or a card themed after any horror movie. Rewards: 13 favorites. . . minus 8. Oh oh oh... This shall be fun. Thanks! This and any others you like? Challenge: There must be bodies everywhere in the aftermath of the horrors that appeared last night. 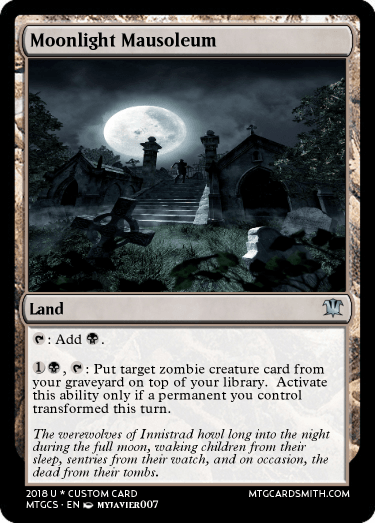 Create card that has to do with zombies, graveyards, or corpses. Rewards: 2 favorites of choice + 1 of my choice for each entry you beat. 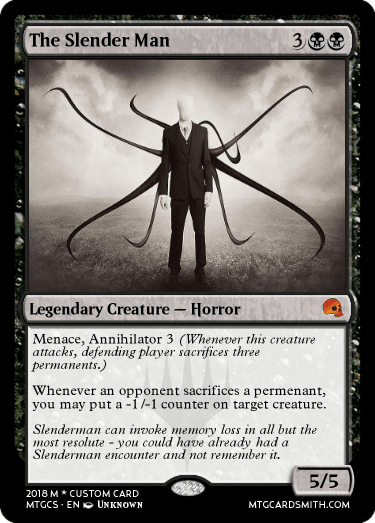 I like how this guy turned out, really like the art too. Hope you like it. Challenge: Wurms. 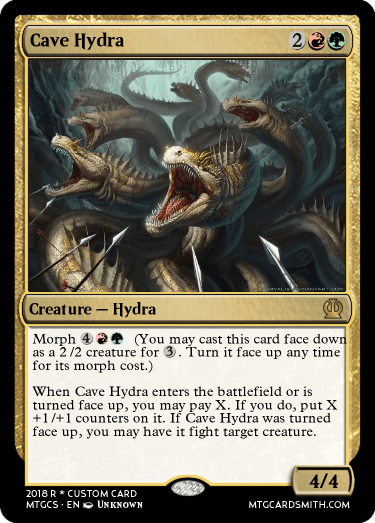 Not all Wurms are Massacre Wurms. Some are just big, disgusting Wurms. 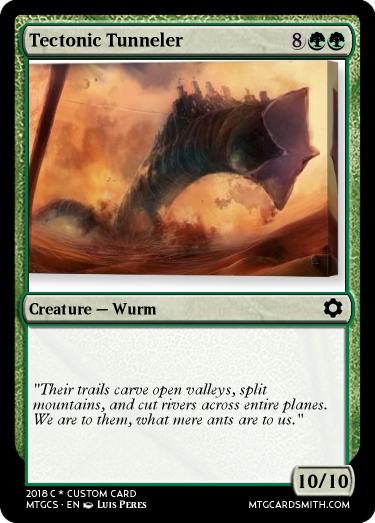 Create a Wurm creature card that's a common or uncommon. Rewards: 1 favorites of choice for each entry you beat. 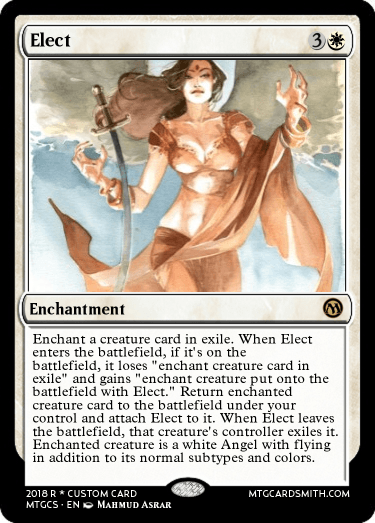 Challenge: Find a real magic card with only one word as its name. Then pretend it is the first or second half of a fused card and create the other half. Then post both side by side. Rewards: 4 favorites of choice. Odd that they were both edited at 12:54 AM . . . what say you both? @jpastor lol didn't notice that. But for me they both say 1:54 am. Honestly because I saw sorinjace was the only one posted, and I wanted to give him a chance to get a card favorited. 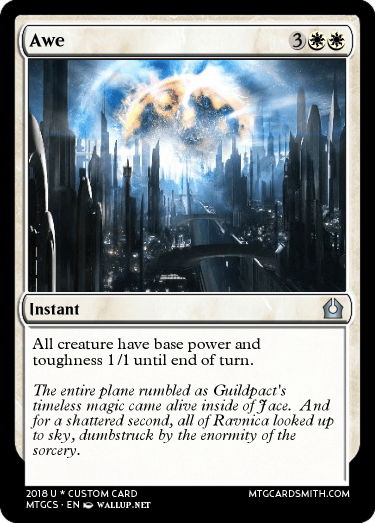 Also for the contest, does it have to be a fused card from Return to Ravnica block, or can it be an aftermath card from Amonkhet? @Baron-777 thanks so much! 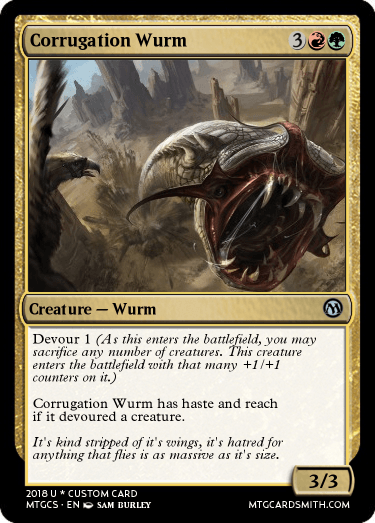 I liked your entry anyways as well, Wurms will always have a spot in my magic collection somewhere seeing as how they was one of the 1st 'good' creature's I got to own in my 1st magic deck I ever had. I paid 6 cans of mountain dew for it. Yup. 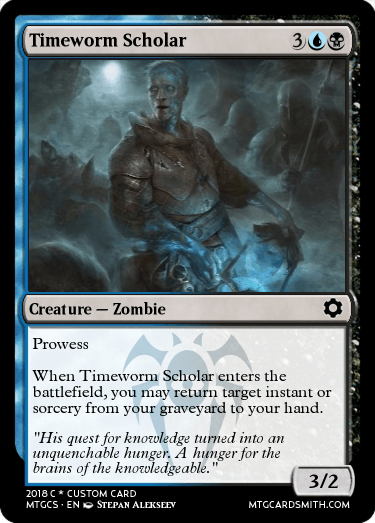 The Yavimaya wurm was in it. That was back when I was 1st getting into the game. Ah, memories. 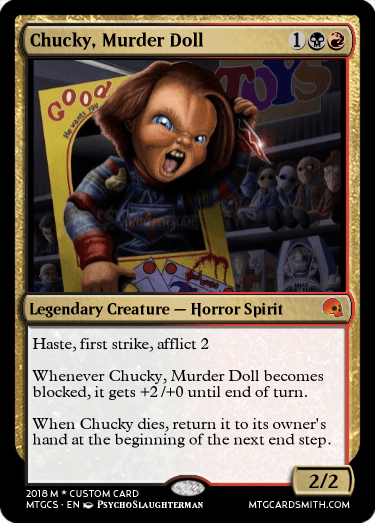 @bnew07, that's a great card, split card or not!